John Krasinski is ditching the quiet game for his latest role as Jack Ryan in an Amazon Prime original, Tom Clancy’s Jack Ryan. The show will premiere on Labor Day weekend. Krasinki is the latest actor to play Tom Clancy’s unexpected hero, following in the footsteps of Chris Pine, Alec Baldwin, Ben Affleck and Harrison Ford. Amazon’s version of the character will give him a “modern sensibility,” per a press release. Jack Ryan is produced by Carlton Cuse (Lost) and Graham Roland (Fringe). The eight-episode series will also feature Wendell Pierce and Abbie Cornish. Jack Ryan is Krasinski’s latest project after co-writing, directing, and starring in the surprise horror smash A Quiet Place, which premiered earlier this year. 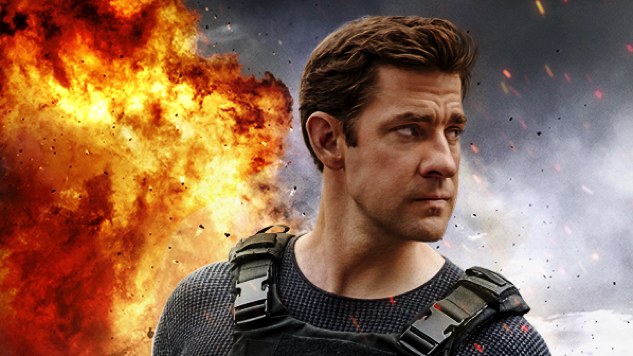 See the Jack Ryan trailer and key art below. The show debuts on Aug. 31.